First gathering in 1881, the first congregation has always been active in the community and today is located at the heart of Montclair. Its beautiful grounds contain a church building (built in 1900), education building, and two parsonages. It is on the national and state register of historic places. 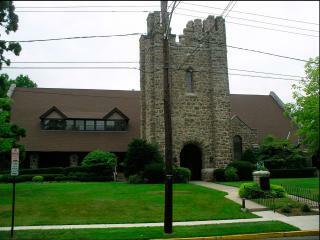 Always active in the community, the church has been responsible for the formation of Boy Scout Troop 13, the Women's Club of Upper Montclair, the Montclair Operetta Society, the Montclair Engineers, and the Rose Society. Its recent goals include doing justice, going green (to reduce their ecological footprint on God's earth), maintaining building on the grounds and being a source of beauty for life in Montclair. Conference Association of Seventh Day Southeastern Adventists Inc.